The color black never goes out of style. Made with alderwood soles and genuine leather uppers. Featuring moveable heel strap in children's sizes. 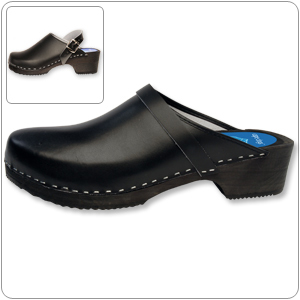 This black clog is stylish and supportive.